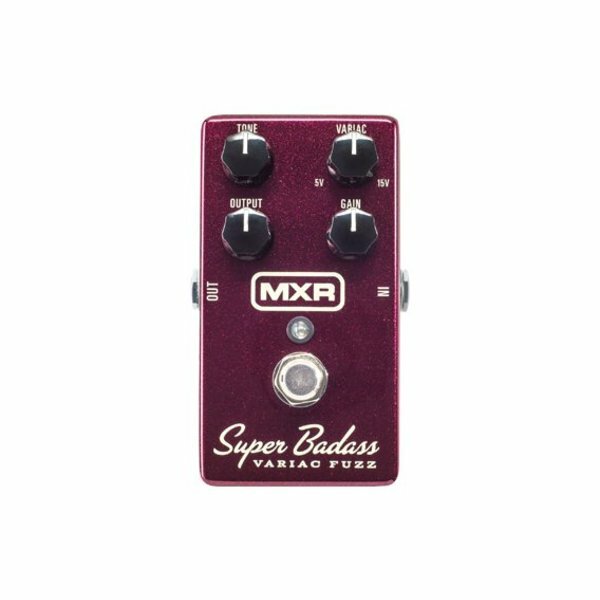 The Super Badass Variac Fuzz is a dream come true for guitar players chasing vintage fuzz tone. 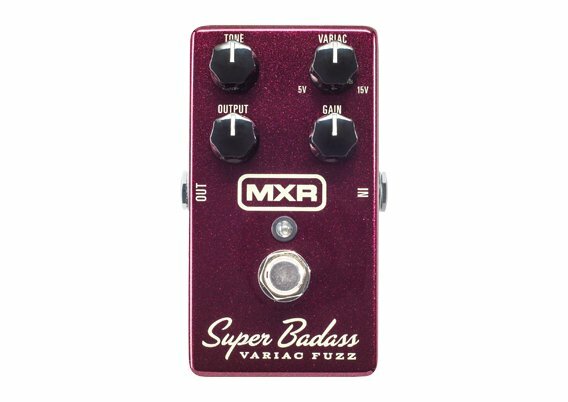 The Super Badass Variac Fuzz is a dream come true for guitar players chasing vintage fuzz tone. This tasty fuzz is aggressive and biting, and with the twist of a knob, you can drag it into that “dying battery” territory much prized by tonechasers—no need to manage a collection of half-dead batteries. To create the Super Badass Variac Fuzz, the MXR design team dusted off a rare vintage silicon circuit, tuned it up, and added a Variac control so you can set the pedal’s voltage anywhere from 5 to 15V. For that wonderful saggy fuzz effect you get as a 9V battery loses its power, just lower the voltage by turning the Variac knob counterclockwise. Increasing the voltage raises the effect’s headroom, opening up the fuzz for a more transparent sound at 15V. The Super Badass Variac Fuzz’s simple interface is rounded out with Tone, Output, and Gain controls, and it all comes in a road-ready housing with true bypass switching.